A UK independent school is focused on providing a well-rounded education to its students. This encompasses rigorous academic study while providing opportunity for the arts, sports and active citizenship in the community. Through a well-designed curriculum and broad extra-curricular activities our students develop into motivated, inquisitive, independent and life-long learners who are critical thinkers and internationally minded. ESM is fully accredited as a centre for Cambridge International Examinations (CIE). Students follow the Cambridge IGCSE programme in years 9 and 10 and take IGCSE examinations at the end of year 10. All students at ESM complete IGCSE courses in English (first language or second language as appropriate), mathematics and the sciences. They also choose from a range of additional IGCSE subject options including geography, history, physical education, music, art & design, French, Russian and Chinese. These qualifications are globally recognized and give students the opportunity to progress onto further study worldwide. 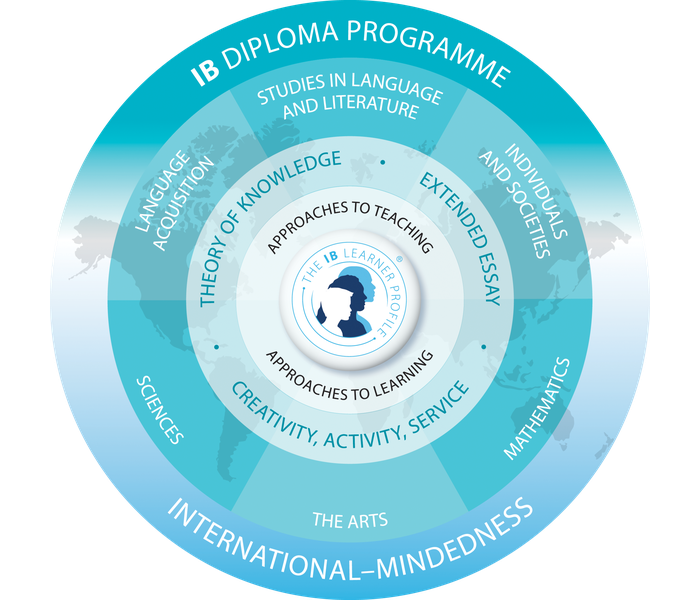 Students applying to join the IB Diploma Programme at ESM require IGCSE passes in at least five subjects (Grades A*-C) or the equivalent. Students who are new to ESM must also complete an interview with the IB Coordinator and take placement tests in English and mathematics. All students must successfully complete a two-week trial period at the beginning of the course and sign the IB student contract before being officially accepted into the programme. Is the IB Diploma Programme recognized by universities? The IB Diploma Programme is officially recognized by over 3300 universities in 90 countries. Graduates of the IB Diploma Programme are in demand at leading universities globally: many universities give additional credit for IB subject certificates and award scholarships specifically to students from the IB Diploma Programme. The ESM Diploma is our alternative programme for students in years 11 and 12. The course gives students the opportunity to take subjects on a modular basis, allowing for maximum student choice and independence. Students may also take additional IGCSE subjects and work on the skills which enable them to prepare for standardised tests (including the SAT, TOEFL and IELTS) and entrance examinations for universities both in Mongolia and globally.